Thirty years ago today on October 19, 1984 the communist regime in Poland murdered a saint in the expectation that they could hang on to power. They had murdered Father Jerzy Popiełuszko for being the chaplain to the fledging Solidarity Movement. 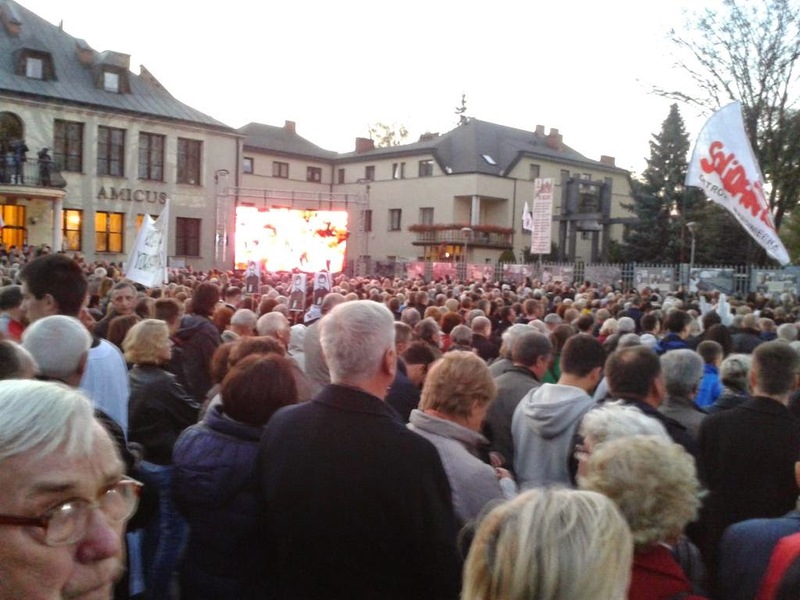 They had thought killing a symbol of freedom and terrorizing the Polish people would silence the opposition. They counted wrong. Less than five years later on June 4, 1989 Poland would be the first country in Eastern Europe to hold free elections and sweep the communists from power nonviolently. "Our Fatherland and respect of human dignity must be the common objective for reconciliation. You must unite in reconciliation in the spirit of love, but also in the spirit of justice. As the Holy Father said five years ago, no love exists without justice. Love is greater than justice and at the same time finds reassurance in justice." 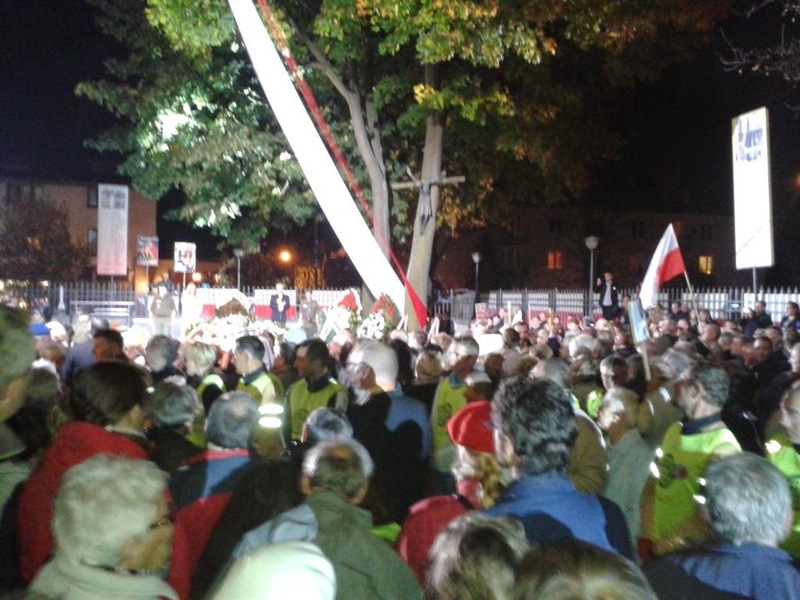 "This Sunday was very special in Warsaw for 30th anniversary of the murder of Jercy Popieluzko, and in the night the multitude still surrounded the tomb of the martyr Jercy Popieluzko."